Home » Cheap and Good? 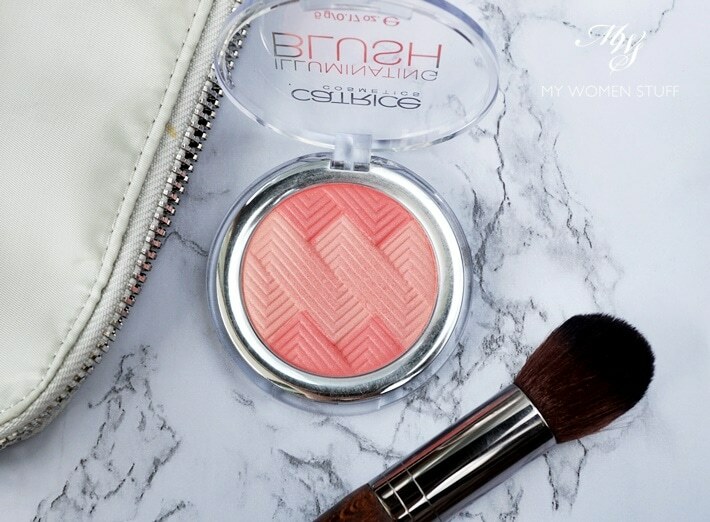 » Not sure if the Catrice Illuminating Blush is worth your pennies? Coral Me Maybe, I’ll tell you! 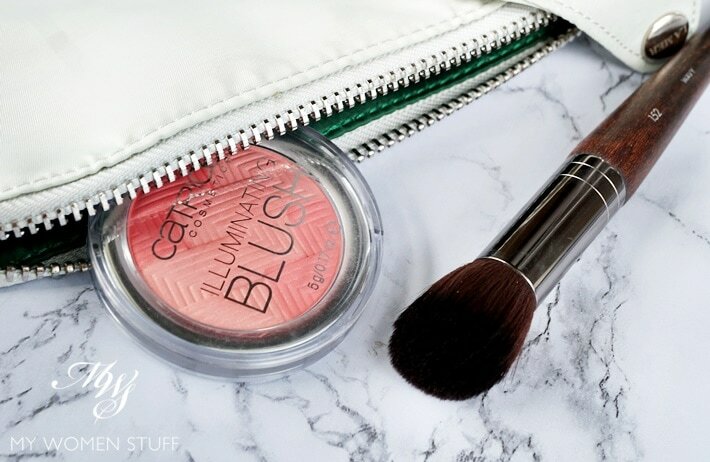 Not sure if the Catrice Illuminating Blush is worth your pennies? Coral Me Maybe, I’ll tell you! I told you I was on a cheap and cheerful makeup kick wasn’t I?! Well, meet my newest cheap and cheerful makeup purchase that… you guessed it, cost me under RM20 (Approx. US$5) I’m almost bummed that I didn’t blog about the Catrice Illuminating Blush sooner so I could steal Tine’s title for this one LOL! It just CALLS out for it! Call… geddit? This is starting to be a habit isn’t it? First, the eyeshadows, now this blush! 😀 I have something from Chanel waiting in the wings, and I’d rather be looking at this one instead! LOL! There are 2 shades in the interlocking chevron embossed pan of the powder blush, although I only picked up 2, which will explain my swatches below. There is a brighter coral at the top and bottom edge, and a much lighter coral in the middle. Tine’s pictures and mine differ a little due to the lighting, it happens 🙂 But rest assured, we’re talking about the same product. For some reason, although it is supposed to be a coral blush, it swatches more pink for me! Check out the swatches below and you’ll see what I mean. But you know what? I like that. I wear pink blushes better than anything too peachy or warm, so I was happy for it to pull pink. The swatch on the left is from the top edge of the pan, being the deeper/brighter shade of coral-pink. The swatch in the middle is of the larger, lighter coral middle section, and the swatch on the right is of the shades blended together. These swatches were done using my fingers, and truth to tell, this isn’t the most buttery soft, pigmented blush I’ve ever used. The texture of the product feels hard to the touch, and it takes a little effort to pick up the product. From the swatches, you can also tell that whilst, the name says it is an “Illuminating blush”, it isn’t shimmery nor is it what I’d term a highlighter-type shimmer. The shimmer is subtle, which is far more flattering on skin than most shimmery blushes. This is especially so, if you have more matured skin or blemished or scarred skin and don’t want to have these shimmery bits sinking into your pores and lines. You won’t have a problem with this one. Using this brush, I only swoosh the brush around the pan a few times, tap off excess and then apply it to my cheeks, buffing as I go to blend and diffuse. That’s it! No effort, no fuss and no need to layer unless you want the colour to be more visible. In that case, you might be pleased to note that it doesn’t look powdery nor chalky when layered. The result is always an error-free gentle flush on the cheeks due to the sheer texture and light pigment. These aren’t bad things, so don’t be put off, unless you have a much deeper skintone, or prefer more pigmented blushes. I’ve taken to using this one often, because sometimes, I don’t have a lot of time to get ready, and this gives me life to my cheeks in a jiffy, without any fear of me walking around looking like I just enrolled in clown school. 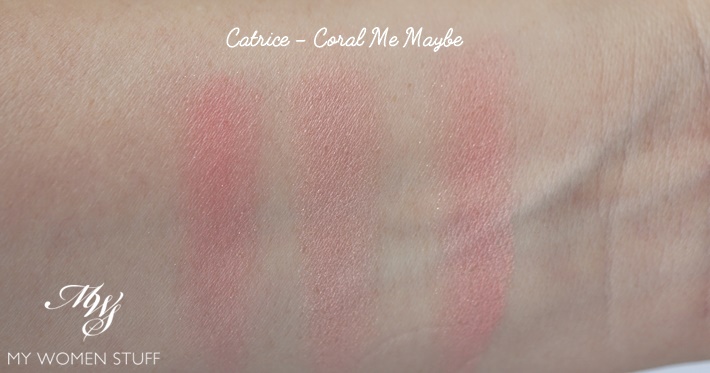 The Catrice Illuminating Blush – Coral Me Maybe is a 2-toned coral-pink blush that pulls a little more pink. The design of mine is that of a chevron, but I’ve seen some pictures of a similarly named product with a different design. Perhaps it’s an older embossing or different product, I’m not sure. The texture is hard to the touch and it isn’t easy to pick up product unless you use a denser blush brush, which will deliver a better result. Otherwise, you need a few layers to get the colour to show up. This shade is best suited for someone with light to medium skintones as it is rather sheer and may not show up on deeper skintones but there are a couple other shades that might suit you better, if you have a deeper skintone. I personally like this a lot and I use this so often now, I surprised myself! 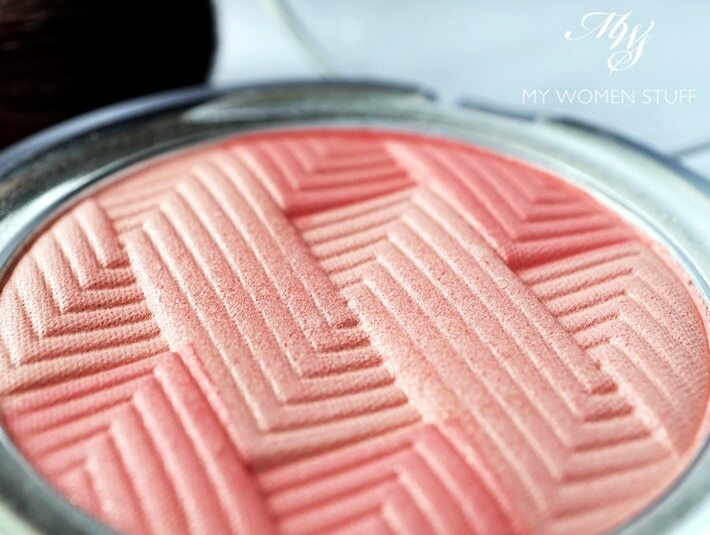 Have you tried the Catrice Illuminating Blush or any of their other blushes that you think I should look at? Still lusting after that Sulwhasoo but no way I can justify the price 🙁 Time to give the Nuts a go! LOL! 😀 I saw it but was afraid it was too brown. Would be lovely on warmer skintones though! I’m going to check out the regular blushes next time. With so many raves out there, I’m sure it’s a winner too! I picked up a few of those matte eye shadows after reading your review. They are gorgeous indeed! I didn’t see these blushes though. It was a tiny Guardian, I was surprised they even have this brand. Hahaha! Oh hurrah! You got hold of the matte shadows! It’s a pity they only made 6 shades. It would have been such a hit if there were more colours!